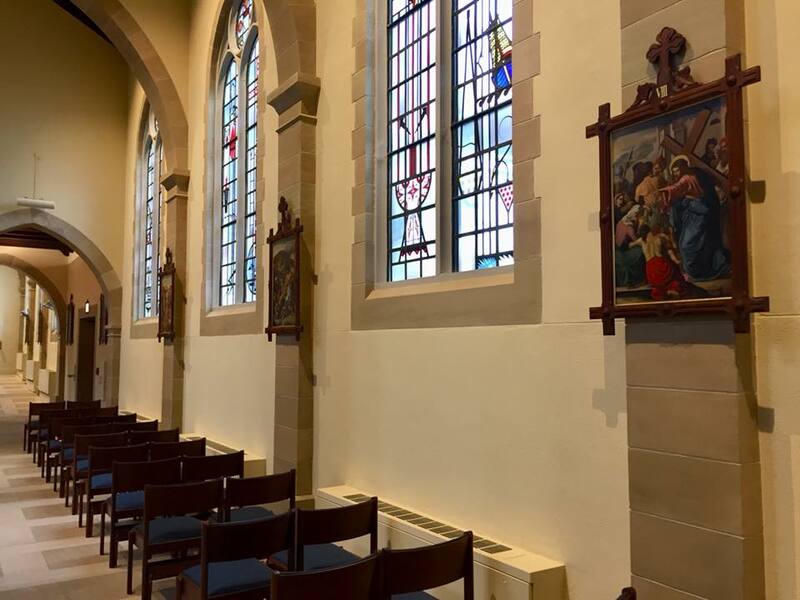 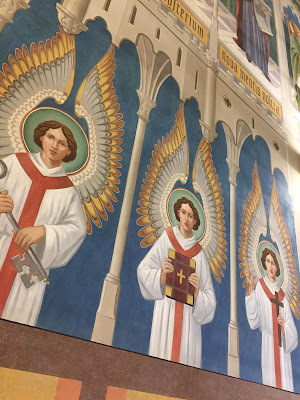 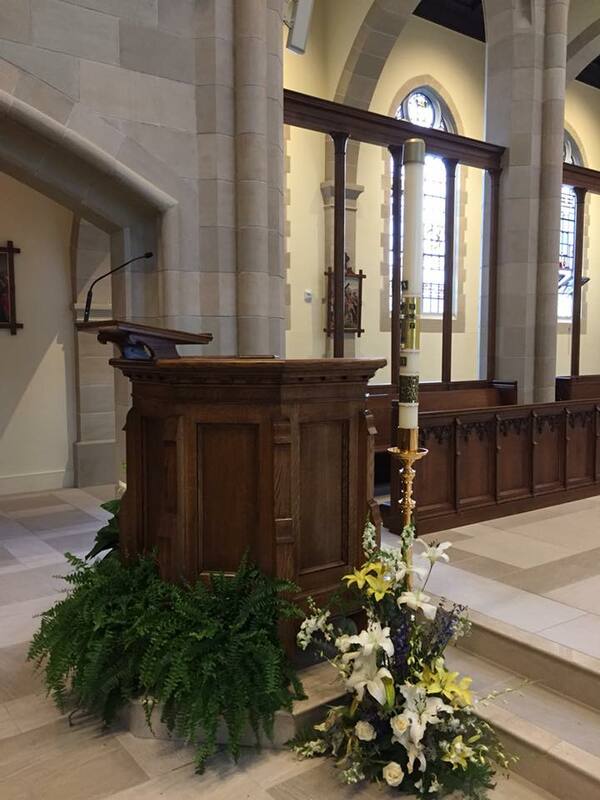 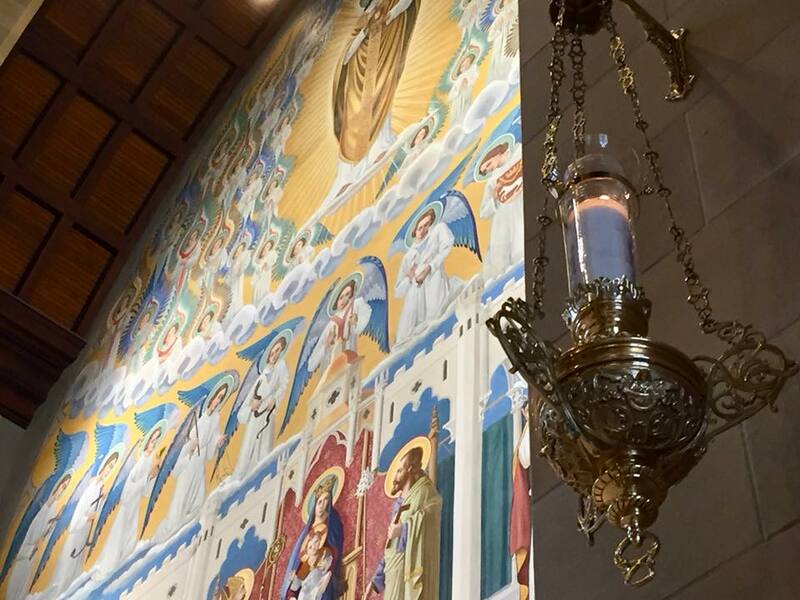 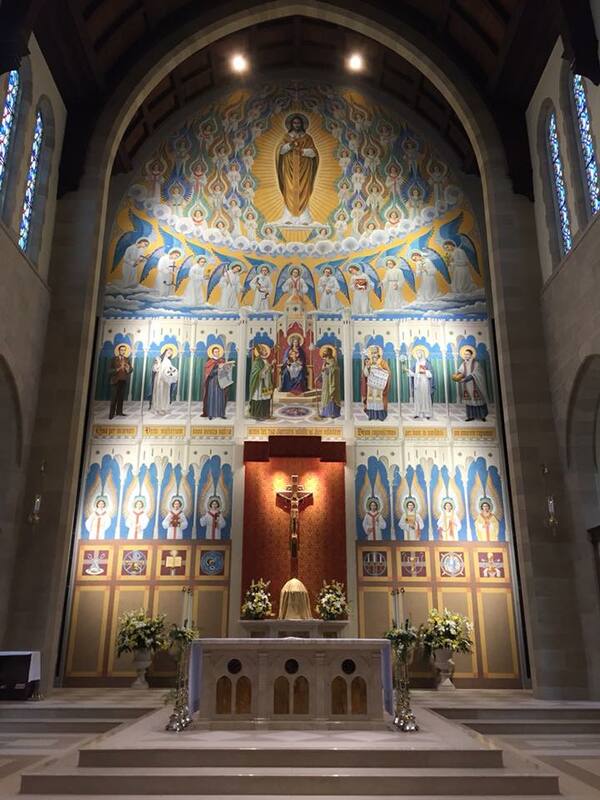 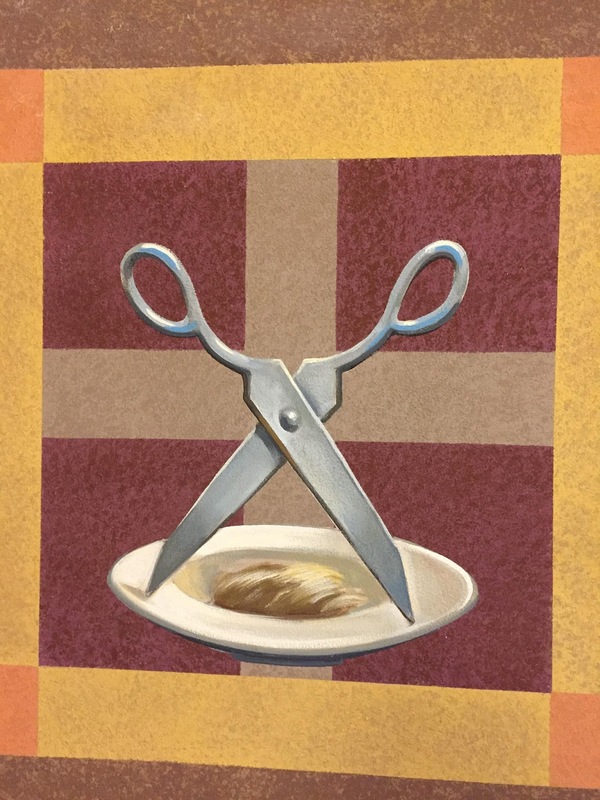 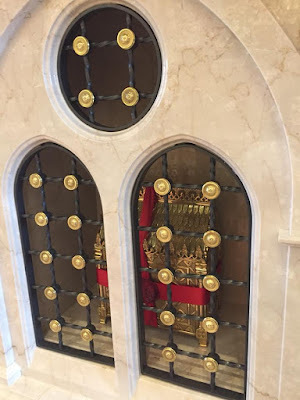 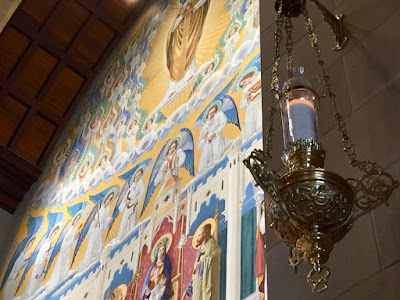 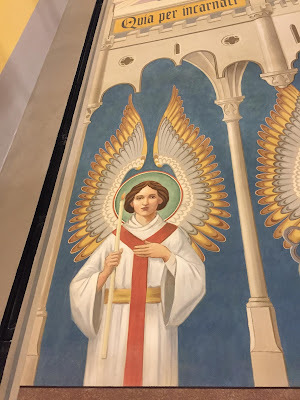 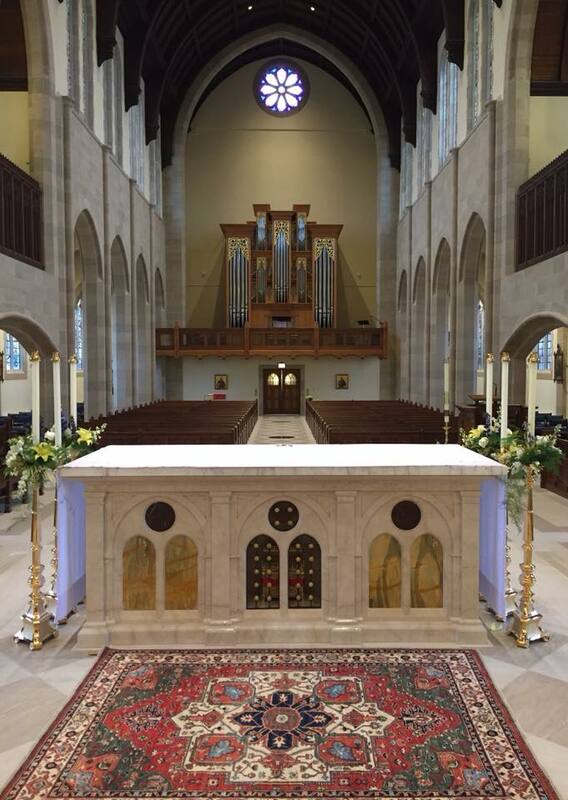 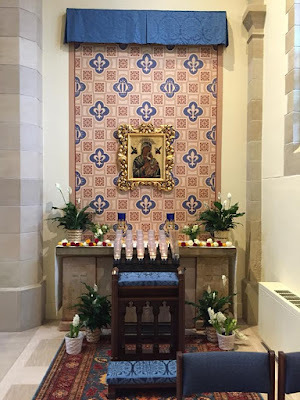 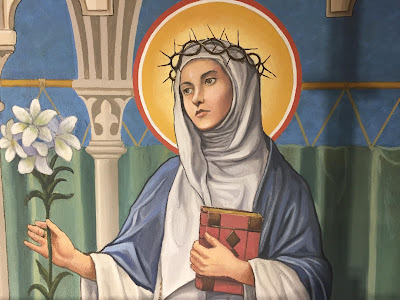 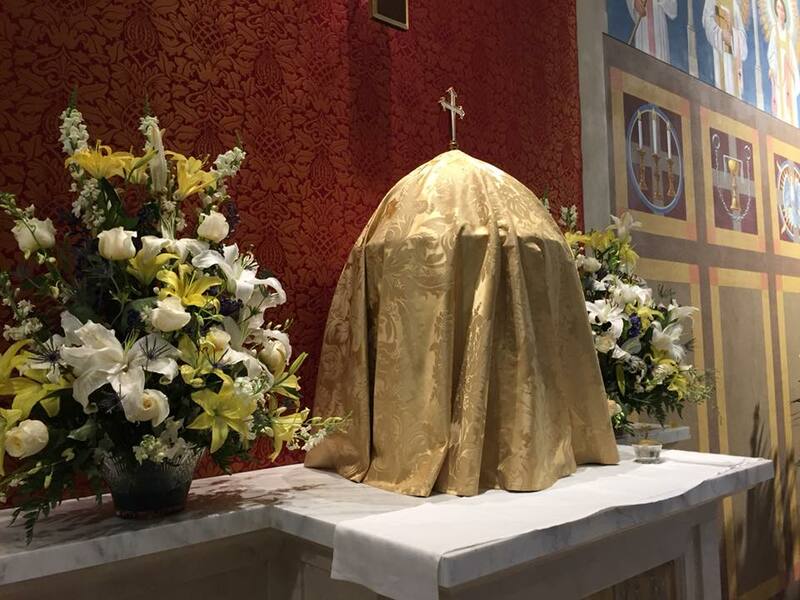 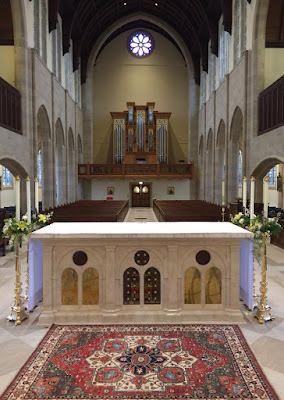 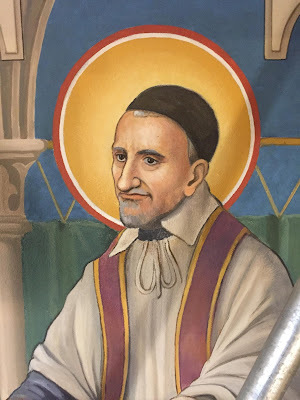 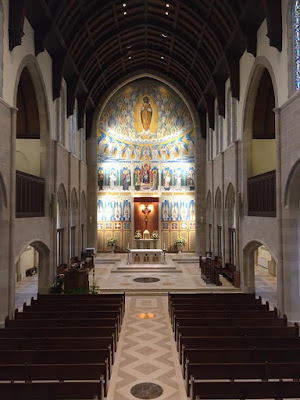 As we reported last May, the chapel of St Turibius at the Pontifical College Josephinum in Columbus, Ohio, recently underwent a very significant restoration and de-wreckovation. 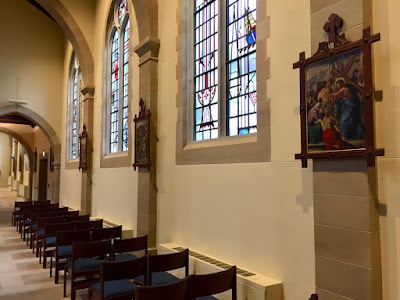 Our previous post showed the work-in-progress of the installation of several new fixtures, including a new and much main altar, as well as the repainting of the mural at the back of the church. 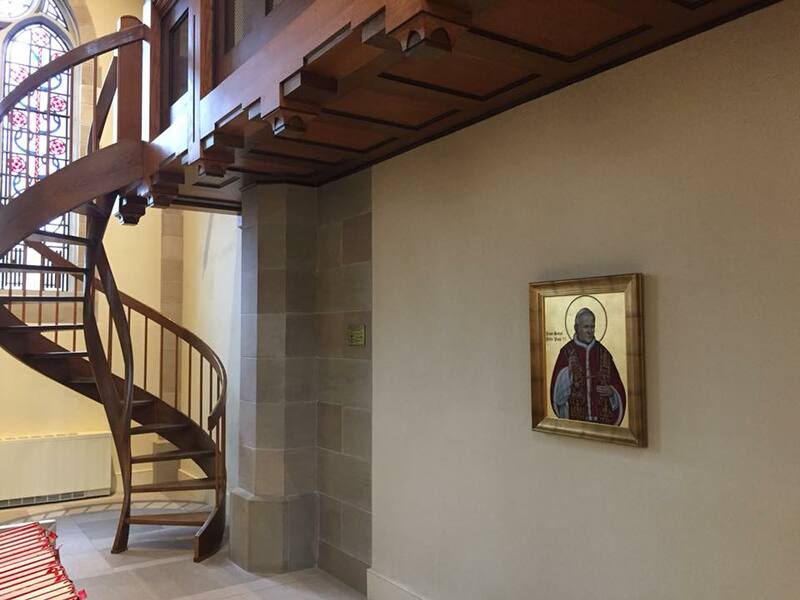 Thanks to our friend Jordan Hainsey, a seminarian of the Diocese of Covington Kentucky, for sending us these photos which show us more of the final result, a chapel which is in every way more suitable for the formation of men in the spiritual life. 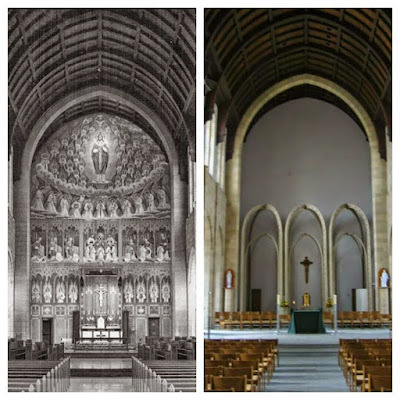 For comparison, the chapel before and after the work done in 1989. 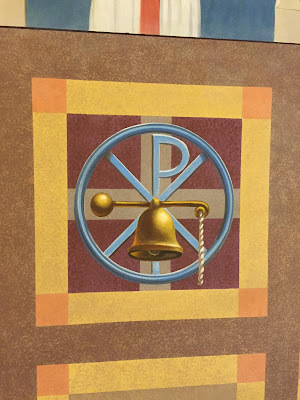 In the ordination of Porters, they are led by the ordaining bishop to ring one of the church bells. 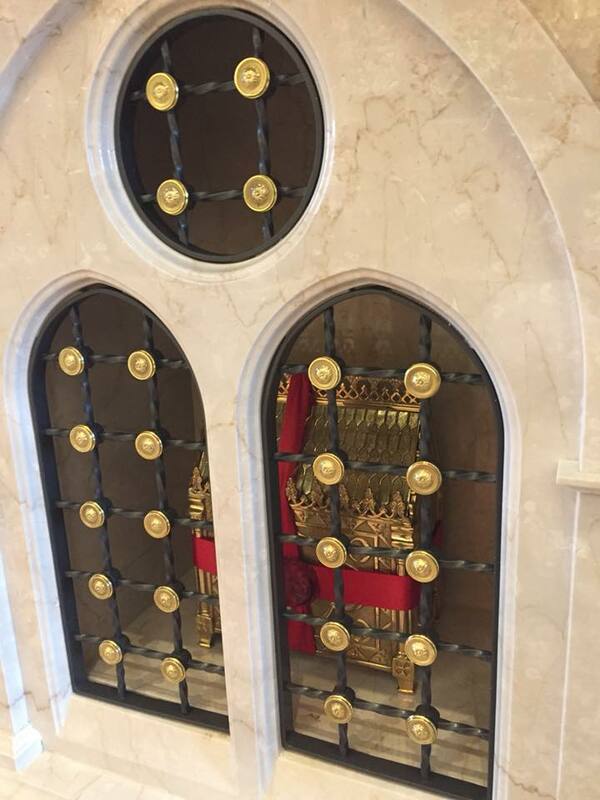 Relics enclosed in the new altar. 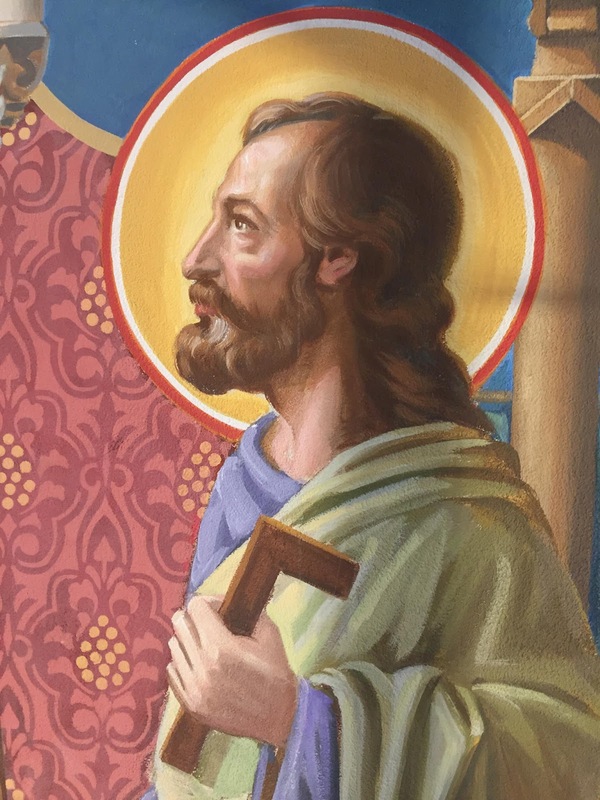 The college’s patron, St Joseph. Some of the Angels from the second rank of the mural.